The fresh produce industry's characteristics can easily be defined by those of its products - quick turnaround and short shelve life. It is definitely not an easy game and keeping your finger on the pulse of defining trends is essential. 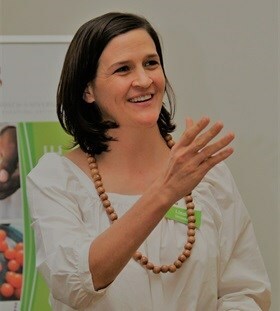 Lindie Stroebel, PMA Southern Africa. Not only will stakeholders need to adapt to these trends, but will they need to become involved to shape the future of these trends – individually and collectively. 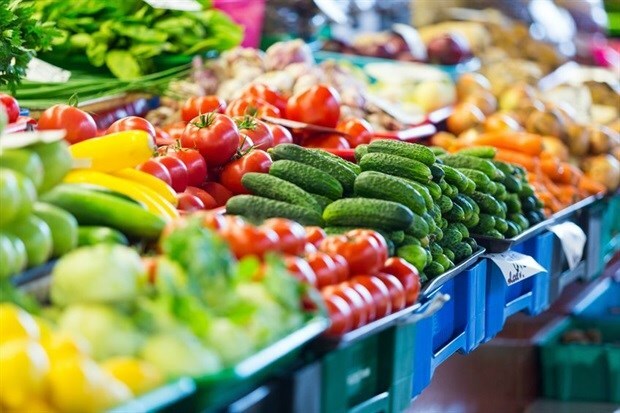 The following five over-arching trends serve as a summary of the trends currently shaping the future of the Southern African produce industry. In the early 30’s all technology developments were defined to increased production. However, since the 60’s, quality became a more important driver. Recently, the focus is on options for mechanisation and automation to enable more effective and efficient value chains. The tech trend is very diverse, but with a handful of common objectives; like to enable precision agriculture for optimal and sustainable resource utilisation and yields, to automate field and processing operations, and to gather and utilise artificial intelligence (AI) for increased computational capacity. Going forward it is no longer a decision about whether to use these technologies, but rather understanding how these systems can be employed to improve and enhance your business and remain competitive both locally, regionally and globally. For example, robotics is resembling nature, like robotic pollinators. Drones, as another game changer, are used in observing, measuring and managing resources. Mechanised sorting and packing now a given, with their developments being more related to information gathering. There are some exciting high-tech developments observed at the retail end, such as autonomous convenience store prototypes being initiated in, especially, Chinese and American cities and the era of voice introducing itself to change the ways we select and buy online. Now, more than ever, it has become essential to work smarter, not harder. Labour absorption goes together with education and workforce training (and re-training), especially as automation has become a given in any operation. A balancing act is required in Africa, with its abundance of unskilled and semi-skilled labour, to address the social need of optimal labour absorption, especially in a traditionally labour-intensive sector. The need to increase productivity, mostly through skills, become inevitable in recognising the newly announced minimum wages in South Africa, and the intention to increase wages to match increased living expenses. Across the globe, automation is now the first frontier spurring up the need for new and different skills set of workers. In a recent Harvard business school review, the plans by General Motors to cut up to 14,800 jobs in the US and Canada, were analysed to derive lessons from. It was found that the layoffs are a prediction of much more disruption coming – across all sectors, including the agricultural sector. As for the automotive industry, workers in the agricultural industry will not only need know how to work with currently available technologies but are also able to learn and adapt to new and evolving technologies as they are introduced. The upcoming trend is that machines are often computer-based and are becoming more sophisticated and able to not only perform pre-programmed tasks, but also capable of problem-solving and decision-making; uniquely human abilities. In a recent World Economic Forum report it was predicted that five years from now, over a third of the skills considered important in today’s workforce will have changed. Survey respondents highlighted the ability to analyse data and to market innovative products and services to clients and consumers as a future critical skill set. Hence there will be a higher demand for strong interpersonal and collaborative skills such as persuasion, emotional intelligence, and the ability to teach others. In the produce sector, machines not only need to be operated and/or instructed, but also fixed and maintained. Most machines gather information along with its primary function – the labour force needs to understand this and be skilled to assist the information gathering and analysis. This bring about the need for decision-making and problem-solving skills. The demand for more trackable supply chains, is what has driven the interest and adoption in blockchain. As a practical way to structure data and the underlying platform of digital currencies like bitcoin, blockchain is a game changer in supply chain efficiencies in the fresh produce sector. It is a coding breakthrough that forms and combines 'blocks' of transactions on a shared, distributed ledger across a network of independent computers to create a consensus community. Not only does it provide for traceability and transparency, it allows us to digitise information in a decentralised way, to collectively making the system smarter. We have only seen the tip of the iceberg of this trend, which will be a given soon. The African consumer leaped-frogged into the mobile and smart technology era in a very short period. They are becoming as connected as any global consumer. Even though online shopping is growing slowly but surely, the connected consumer performs more research-oriented shopping than ever before. Through scanning products and labelling, checking details across different websites and platforms, consumers can do a good deal of research on product details and pricing. Product's brands, packaging, labelling, nutritional value, etc. are now verifiable, traceable and talked about. Consumers in Lusaka, Johannesburg, New York and Shanghai are now connected. Some consumer trends are becoming more universal, where others are embracing their traditions and regional uniqueness – but it is shared and observed around the globe. Understanding consumers’ desire for information, non-negotiable requirement for quality and food safety and need for convenience, together with the ability to positively influence their relationship with fruits and vegetable in their meals, snack and special occasion, will trend and affect everyone in the value chain, and not only the consumer-facing entities, like supermarkets. Taxing plastic bags in the 90’s was just the beginning. The current drive against plastic straws is where we are now. Sooner than later consumers will demand plastic-free packaging for their fresh produce – with little regard of how we need to adapt to maintain shelf life and quality. The generally more price sensitive African consumers are not yet demanding it to such an extent that it is an immediate trend to take note off. But globally, more pressure from consumers will definitely arise. The biggest judge hereon would, however, be the planet itself. The agricultural sector’s impact on resources is of concern, and conscious and regenerative practices will trend – soon out of environmental necessity than servicing consumer’s requirements. Read more about the key trends shaping the global produce sector, as presented by Cathy Burns, CEO of PMA Global, in her recent State of the Industry presentation at the Fresh Summit in October, in Orlando, USA.